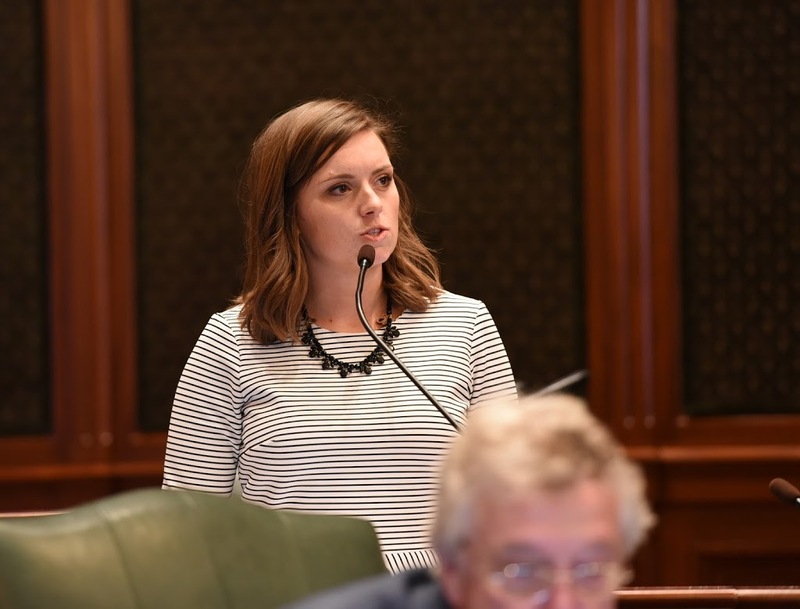 State Representative Avery Bourne (R-Raymond) is the Chief Sponsor of House Bill 3656 that seeks to increase the use of Illinois coal. The bill creates a task force to study the costs and benefits of using the latest scrubber technology to allow Illinois coal mined in our home state to be burned here as well. This legislation recently passed out of the Illinois House and is now before the Senate for consideration. HB 3656 creates the Flue Gas Desulfurization (FGD) Task Force Act. This bipartisan task force’s members’ primary responsibility is to study the costs and benefits of the construction of new stacks or conversion of existing stacks at coal-fired power plants with flue gas desulfurization scrubber technology. Bourne’s bill requires the task force to report its findings and recommendations to the General Assembly by December 31, 2017. If passed out of the Senate and signed into law the task force’s work would begin immediately.